Today is the first Friday in May! Crazy!! Every first Friday we share some awesome giveaways from our sponsors. You only need to leave one comment and you're entered to win all of them, easy peasy! We’d like to give away a fat quarter sampler of our Hampton Hues fabrics!! 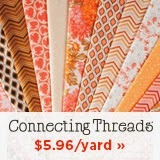 Connecting Threads is an online quilt shop where you can find top quality, exclusive fabrics priced between $4.96/yd for solids and $11.96/yard for laminates and wide backings. They also offer their Essential™ Thread, kits, designer patterns and more. My goal is to finish all the WIPs I have accumulated!! Southern Fabrics is giving away a $25 gift certificate!! You can choose whatever you'd like! :) A lot of the new collections you'll find are Christmas! 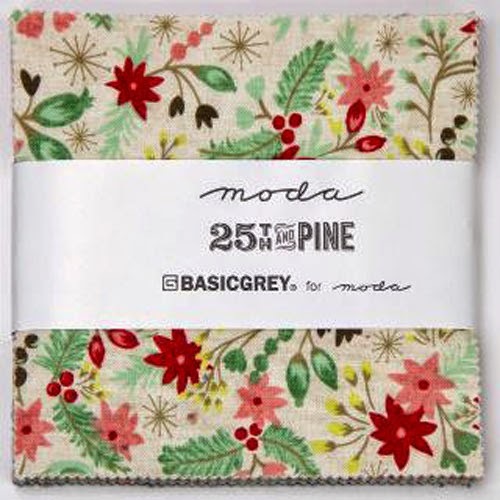 I'm loving this new line from Basic Grey, 25th And Pine. I am hoping to finish up quilting all my UFO's . Now just to get the kids on board with this idea. We're giving away 3 of our PDF patterns! You can choose from our shop on your favorite ones. I plan to take a few UFO's to the lake cabin this year. Have decided to not start something new, but rather work on finishing several tops! What are your sewing plans for summer?? Leave your answer in the comments and you're entered to win all three giveaways! I have a table with about 10 partially finished projects stacked on it....clearing that pile is my goal! I'm sewing up some knit summer dresses and I have a baby quilt to make for a friend. Thanks for the giveaway. I am going to work on a carpenters star quilt in brown tones for our bed! Finally a quilt for me! I have spent the last month redoing my sewing space. I have missed sewing in the meantime and I have thought of many things to start making. I have a few quilts in mind and some curtains and I am going to start making baby quilts for our NICU. I had a baby who spent time in the NICU and we were given a handmade quilt. I was touched and would like to do the same for someone else. I have 4 quilts to finish up then would like to try some smaller projects- thinking pillows. Fingers crossed for sun so I can be outside too! I am hoping to make my son a quilt to take to his first day of school this fall!! It will be my first quilt! I am in the process of moving so haven't sewn for over a month, would love to get back to it soon. My sister is pregnant, so I'll definitely be making a baby quilt. I am attending the American Sewing Guild annual conference this summer in St. Louis. It will be my first ASG conference any my first visit to St. Louis. Hope to find lots of sewing inspiration there! I am planning on making Pirate themed quilts with the Out to Sea fabric I purchased last summer for my daughters' bedroom at our cottage. I want to start another hexagon quilt this summer. Yeah! I have a new niece/nephew due in July! This would help out, Thanks! I'm hoping to finish my first EPP quilt and start quilting it! My plan for the summer is to relax and have fun! My summer sewing plans focus on all the UFOs I have. I am trying to finish a quilt for my husband. I'm just finishing up (just a few more inches of binding to go) a quilt for my mom for mother's day. Then it's on to some teacher gifts for the daycare / pre-school my niece has been attending for four years. And lots of things for grandbabies. Great prizes! Thanks so much to everyone!! I have sooo many quilts planned! I need time to stop completely in order to get them all done. Can't believe summer is right around the corner! Thanks for the opportunity to win. I hope I can finish some quilts and the sew for me some skirts and maybe some shirts. Still attacking all my unfinished projects around my sewing room. It is getting a bit out of control. I have two ongoing applique projects. I also intend on making a messenger bag as well as new quilt for my living room wall. Thanks for the inspiration! I am hoping to get some summer sewing done soon! So many things like a new table runner on my list! I still have 4 ufo's to finish and then hope to start on holiday gifts for family. I am moving next week and then trying to soak up some sun! And I want to arrange my room Handstitched Area: buy a special table for my favorite JANOMEi hang shelves for tools. I also want to try to sew a quilt and give my mom. My plans for the summer are to do a little painting in our home and sew as much as possible! Also my step-son is getting married!! I have plans to finish off two blocks of the month quilts that are waiting to be quilted! Along with some fun sewing for granddaughter! Ooh I have so many sewing plans...finish my Farmers Wife Quilt, a couple custom orders, some clothes for work, and a couple baby quilts. There are always projects hiding out in my fabric closets! Mostly flimsies. I have a couple graduation quilts to finish and at least 2 baby quilts to make. Besides that, I'll just be sewing everything I can for Christmas gifts, online challenges, and for fun. I have lots of gifts to sew!!! I am trying to finish up some UFO's. I don't have a lot but they are driving me crazy. I really want to make a log cabin block quilt but only after some of these other projects are finished. My main goals include a memorial quilt I designed in honor of my dad's cousin who passed away a couple weeks ago, quilting and binding a quilt for my 2-year-old, and fulling making a similar quilt for my 3.5 month old. So instead I will probably start 3 more projects and continue my EPP Flower Garden, since I seem to have QADD (Quilting ADD). Wonderful prizes!!! This summer we will be travelling overseas (hubby's retirement incentive!! ), so until we return I will not be doing any quilting and it may be torture for me! My sewing plans are to start sewing some table runners as Christmas gifts. Hoping to sew up some Summer dresses and tunics for myself this year! Sewing plans...sew more, sew often and finish projects half done! To finish up some WIPs! I have been working on that list for WAY too long! I would love to do more apparel sewing, I have so many patterns! I love those fabrics, thanks so much for the giveaway! I have joined a Block of the Month project that will be ending in June and I want to complete it as a quilt for my bed. A baby is expected in September and I bought cute giraffe fabric for a quilt. With gardening and other summer activities, these are the projects most likely to be completed. Thanks for the giveaway opportunity!! lots of catch up projects over here! baby quilts, a wall quilt for my moms new office, and state fair entries! here's to a couple of more hours in each day! I have a quilt pattern and a very large stash of batiks - my best friend is visiting late May and she and I plan to pull the fabrics needed (small amounts of lots of different fabrics)and get started. I have a couple of baby quilts to make over the summer, including finishing up one for my 2 week old baby. Thanks for the chance! I have about 3 projects to finish. One to design for my cabin. One to finish for Mother's Day, which is right around the corner...yikes! Thanks for the chance! Crazy! Thanks for the great giveaways. I Love love that top fabric on the Basic Grey collection. Thanks for the chance at these! I'd love to get my first ever quilt top finished this summer. We'll see! I am still working on finishes up my UFOs. It's a slow progress at the moment. I've got two baby quilts to make before July! I am stash busting all summer! Set goals in January to use my stash and made kits to do sew. I am, making Christmas presents and Kwilts for my Etsy shop! Sew far...sew good! Tons but mainly I have a few baby gifts to make (at least one a quilt) and some aprons that look like the Disney princesses for my daughter! And hopefully will have time for some Christmas in July sewing because I am trying to get Christmas quilts to everyone in my family and there are a TON still left to do! This summer I hope to finish up my aunt's quilt (Christmas gift) and begin on my Dear Hubby's quilt (also a Christmas gift). Thanks for the chance to win. quilt, quilt, quilt...But my biggest projects are 4 memory quilts for a friend who lost her husband suddenly. I am doing one for her and for each of her three kids. Finish my DD wedding quilt and attend a quilt retreat. I have a big sewing to-do list. It includes a Civil War dress, a Rococo dress, baby quilts, and I'm sure I'm missing some things in there. ;) Thank you for hosting a give-away! I'm working on several quilts and want to get a jumpstart on sewing for a fall/winter bazaar. I'm working on an HST sampler! My bee is in the middle of a row exchange, I will be working on that this summer. HI,I'm finishing an aqua+white charity baby quilt this week and then want to start a spring-like flowery quilt for my granddaughter! I've got a 2-year-old WIP (the first quilt I ever started) that I desperately want to finish! That's my summer goal! What a lovely give-away. This summer I hope to focus on my many UFOs. Making a quilt and such for my new baby girl coming tomorrow! I have several UFOs and I plan to finish them, sew a baby quilt for a new grandson due in September and start a quilt for my own bed! Thank you for the giveaway! I want to finally make a quilt for myself. I have made one for almost everyone in the family. I am also going to attempt to make memory quilts for all of my mom's grandchildren. She passed away last year in November. Thank you for the giveaway.. This summer I plan on making four quilts for my daughters family in Florida. Got the fabric and the patterns! I just found out another friend is pregnant, so I'll be making more baby quilts this summer. Thanks! I'm working on cutting my scraps in to 5", 2.5" and 1.5" squares and strips. This summer I hope I'll have enough to put together a really scrappy quilt top! To make my quilt tops into a quilt. Thanks so much for the great giveaways. Pick my name please! Grandbaby #6 (girl) is due in late June. I need to start sewing some essentials for this new little person! I plan to finish a few UFOs and make my son a queen size hand quilted. Also plan on starting some small Christmas projects. I have so many planned, half cut & half sewn quilts! Going to get them done! HI!!!! I need to finish a lot of projects I have going but I already know I want to start a lot more!!!! Thanks for the fun!!!! I am looking forward to quilting a lot this summer! I have been very busy this past school year that I haven't been spending much time in my sewing room. I miss it! Winter sewing here - finishing some quilt tops so we can keep warm! I would love to win some of your patterns! This weekend I am hoping to finish the last row of the king-sized hexi quilt I have been making for the past year and a half!!! This spring & summer, my 3 sisters & I are working on two round-robin type quilts. We live in 4 different states & keep connected through our love of quilting & each other. Thanks. I am working on a quilt for my guest room and I have a few sewing projects for my granddaughters. Thank you for the chance to win. We have a son graduating from college, and another son getting married, so I am really hoping to get back to quilting when we are past all these summer events. I'll be working on finishing up projects from the past couple years and new ones I started this year so the fall can be dedicated to finishing Christmas UFOs! Ha My goal is just to keep sewing, keep my day job, and keep my DH happy ! Enjoy the journey, every day. I'm going to keep plugging away at my EPP project -- a Grandmother's Flower Garden bed runner for my mother. I have a few quilt tops that need to become quilts plus I need to sew three Sew Together pouches. I will be making some quilted bags for a local charity fundraiser. Plan to work on a baby quilt and participate in some swaps. Finishing some long neglected UFO's and challenging myself with some original designs for holiday gifts are in my plans - in between tending my garden and enjoying the outdoors. Finishing a quilt for my Mom and making a new quilt for the back of the loveseat. My daughter is getting married in the fall, so the priority quilt on my list is a king sized quilt for her made using my fat quarters from Amy Butler's "Love" collection. Then I need to focus on 3 little boys who are special to me and sew some boy quilts. And I, too, have a dozen quilt projects set aside that will happen whenever they do! I am making an appliqué quilt as a Christmas present. Other than my commitments to quilting bees, I want to get out onto the golf course! Thanks for the giveaways. Baby gifts. I'm at that age where everybody and their brother starts having babies! I am collecting fabric for a Christmas quilt. Thanks for the chance to win! I plan to make a couple baby quilts for shower gifts and help to finish a raffle quilt for our fall bazaar. I am finishing several UFO's. A hexie doll quilt for my niece's birthday, an applique summer quilt and a bed size pieced star quilt. i would love some quilting time!! I plan to finish 3 WIPs and start a few more! Now it is getting colder here (I'm in Australia) I want to start quilting my DWR. Thanks for the lovely giveaways. Sewing plans for summer....I think maybe THIS year I will work on a new quilt for our bed -- winter weight this time so we can enjoy it when the snow flys (which is today by the way...if it never stops snowing here (Calgary) it will be a miracle!) Thanks for the opportunity of the giveaway! What fun! My summer sewing plans are full of finishing WIPs, plus I will be working on the WERQ Bee blocks and have to finalize the pattern for my month in July. I'm super excited for a break from school so that I can use a bit more of time behind the sewing machine. :) Thanks for hosting this fab giveaway! My hubby foesn't have vacation time in the summer so we'll be staying close to home. Swimming in the river and lake, lots of picnics, and bike rides. Finishing a bed quilt for my mom and a wall hanging for my husband. Anything else is gravy! This summer I'm working on finishing several started, but not-quite-finished projects. I also have a couple of hand-piecing projects that I'll work on while travelling. Pillows - and a baby quilt for a dear friend - and likely some pouches. That should keep me busy when the sun's not shining. I need to machine quilt a baby quilt, then do receiving blankets and burp cloths... The maybe I can work on UFOs.. I'm currently working on a T-shirt quilt for a niece and a memory quilt for me. But who knows what other projects get in the queue! Thanks for the giveaways! I need to work on finishing up some more UFO's and also work on using up my scraps. I am going to finish a couple of quilts, probably start several more, and plan even more. I'm plan to work through some of my UFOs and WIPs this summer. Just getting going again after a 2-year break. First project is a small quilt for my mother. I just moved my new longarm into my newly finished sewing room! I am starting up a quilting business, and my summer will be full with that, for sure! Thanks for the giveaway! I've always got a long list of quilts I want to make and finish but I try to be outside as much as I can in the summer. I love to garden and warm weather is wonderful. I just finished another Patch Pal and I want to do them all. I love them. I hope to sew for about 2 hours a day every day for the summer, I'm hoping to make stuff for my first ever Christmas market. I just got the pattern for an ants picnic quilt and plan to make it as a tablecloth for the table at the outdoor kitchen by my daughter's pool.And I plan to make lots of blocks and cut applique pieces for later in the year when it gets cool again. My plans for summer are to quilt up all my flimsys, make my son a queen sized quilt, make my granddaughter some summer clothes, and make some projects for me. I'm hoping to set up my sewing machine by the garage so I can be outside instead of in the house. I need to finish quilting 2 quilts for gifts by June and then have 3 baby quilts to make by October. Great giveaways. Thank you so much for a chance to win one of these goodies. I've bought some aqua and red fabrics, combined with polkadots (love polkadots LOL) to make some pillowcovers for my couch and perhaps a small table topper. I'm planning to get my quilt room set back up now that my daughter and her boyfriend have moved out of it. I haven't been able to do much for the past 4 years as all my stuff has been packed away to make room for them. My daughter and I are doing a BOM together and I want to make my dad a lap quilt! thanks! Thank you for the awesome give away! I have 2 flannel rag quilts to make this summer to give as Christmas gifts. My sewing plans for summer are to work on UFO's and current BOM's. I don't have many finished quilting plans (longarming) due to a summer vacation planned with the six year old of water parks and amusement parks and picnics and fun. At my quilt guild meeting this month, we will share how many UFO's we each have. I've already counted 17 and those are just within arm's reach - haven't even gone to my bins yet to count. So I need to reduce that number by at least two or three per month this summer! I don't have big summer plans - I gotta start working soon on a quilt for my nephew who will born this summer! I want to finish some of the many ufo's lurking in the back room! :-) Of course, that's been on my todo list for a looooong time. What are my summer plans? Wow - that's a loaded question. What's not in my summer plans would be more appropriate. Less quilting, actually, as the nice weather goes away way too soon around here. Hiking, camping, fishing, gardening, need to hold a yard sale (blech), and have a few barbecues with friends. I have a couple gifts to finsh sewing and quilting, then I want to catch up some BOM projects. Of course, I NEED to start some new projects, too! I am participating in 2 Charity Challenges. I plan on finishing 5 of my UFOs that have been hanging around the longest to donate. It will definitely be a win/win situation. The quilts can go where they are needed and I will gain more space in my sewing room. I have several projects cued up. I have a baby quilt to quilt, three teacher gifts, all which need to be done quickly. Then I have a quilt for my son I am doing for college, a college wall hanging, and a quilt for my sister and husband. That's a good start, right? My summer plans are to finish a tee shirt quilt and to get going on Christmas presents. :) Thanks for the chance. My dear friend has a 60th birthday and more than once has hinted at wanting a quilt. That is on my summer to do list. Thanks for the giveaways. I want to finish my Quilty fun quilt along quilt! I have just been admiring quilts, but once school ends, I intend to get busy learning how and doing! I'm going to quilt my farmers wife quilt. Thanks for the giveaway! My plans are to sew sew sew!! Being a college student living in the dorms, I am so excited for it to be the summer so I can have time (and space) to sew! I want to make a swoon quilt, as well as finish my low volume quilt that I am working on! I hope to get an early ? Start on Christmas gifts...lap quilts, pillows, table runners. Thanks for the Giveaway. I make cheater-type quilts for newborn babies and plan to make 20 over the summer. I am also in a group that makes lap robe sized quilts for Hospice patients. We make the tops at home and finish them each Thursday. We are out for the summer, so I want to put together at least five quilt tops by September. I have plans to make a quilt for my friend who us getting married in July...I better start soon! I just finished the binding on a quilt. So for me it will be starting another one. Thanks for the giveaway. 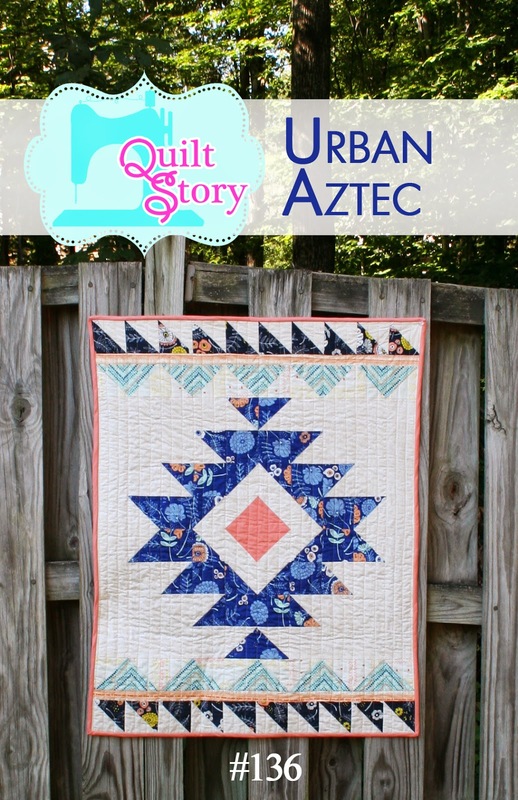 I used my Accuquilt cutter to put together several projects – a log cabin quilt, a tumbler quilt, plus more. Now it's time to start sewing! My summer sewing plans are to finsh up my oldest sons quilt & hopefully make a quilt top for oldest daughter & start middle daughters top, and make a couple of baby blankets for gifts to have on hand. I am making a priority list of what I want to make, it just keeps getting longer and longer :) I would love to start making quilts for kids in the hospital, there is nothing like a quilt to make you feel better! I am concentrating on finishing some bright, postage stamp quilts to chase away the winter blues, down here at the bottom of the world in NZ. With a bay due in August, I plan on sewing lots of cute little things, mobiles, quilts, bibs, car seat covers, slings, and anything else baby (and new mother) related! Thanks for the chance to win! My sewing plans have changed for this summer. I did have plans to make my first throw size quilt but I broke my knee in a car accident last week and I am not able to move around much for the next 6-8 weeks. My DH has gathered some of my handwork supplies (embroidery, cross stitch and beading) to help keep me busy. Now I wish I had started an EPP project...could have gotten a lot done. I'm working on a new quilt for myself in some happy colors. 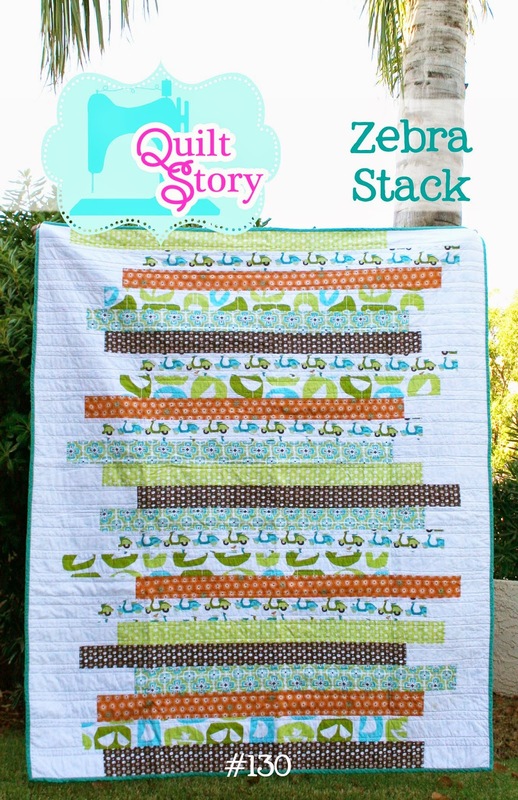 I hope to make a quilt using lots and lots of flying geese blocks. I'm going to make a birthday quilt for my daughter, two baby quilts for babies of friends, and maybe something for myself! Thanks for the chance to win, and thanks for your inspiring blog! I will be making a quilt for my best friend. The new fabric by Valori Wells just came out and my friend is in love with it. Can't wait to start! My project(s) for the summer are to finish all my WIPs. Or should it be WsIP. Quilts, quilts and more quilts I hope! I have lots of UFOs but maybe two sundresses for my littlest granddaughter will be at the top of my list. Our bed quilt is in tatters so I have big plans for another. Have a couple tops that need to be basted and quilted, so I reckon I ought to tackle those first! Royal School of Needlework hand embroidery class in California! And quilting. Trying to stay warm so I am going to finish a couple of quilts, get them professionally quilted and then add the binding to them. I also have a crochet blanket that I am trying to finish. Have 12 quilts to quilt and bind then will be starting new quilts ! Thanks for the opportunity to win some great goodies.